Hey, look at that....two post in as many days. I must be on a roll. 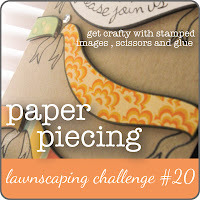 ;) Today I have a card to share with you that I made for the current Lawnscaping challenge #20 - Paper Piecing. 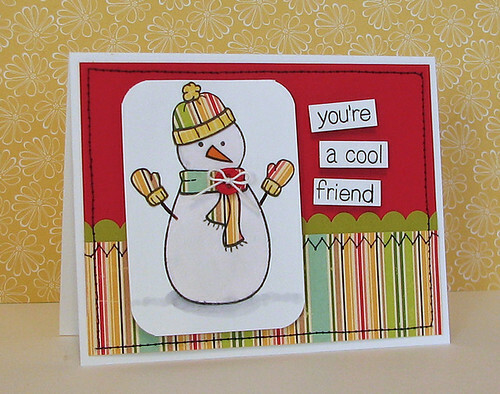 I used the fun Making Frosty Friends stamps from Lawn Fawn for my card. Now that the weather is turning cooler, I hope to have more time to craft and can post a little more often than I have over the last couple of months. How about you?? Do you find that you craft more when the weather is cooler?? 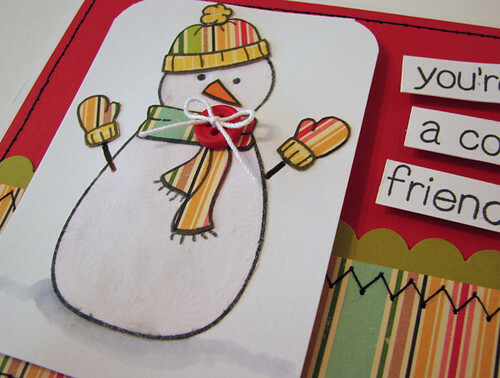 Cute card, love the snowman. Cute card! I love how you used the patterned paper for the scarf! I'm not sure if I craft more when it's cooler - I guess I probably do since I do lots of crafting to make tags and packaging for Christmas gifts, but not as much crafting for myself or scrapbooking because there's not as much freetime with all the events and gifts to do.